Tag Archive | "sun dogs"
Sun dog photo by Dina Rowland. Sun dog photo by Dave Slater. The polar vortex may have put Michigan and other Midwest states into a deep freeze but it also brought something beautiful. 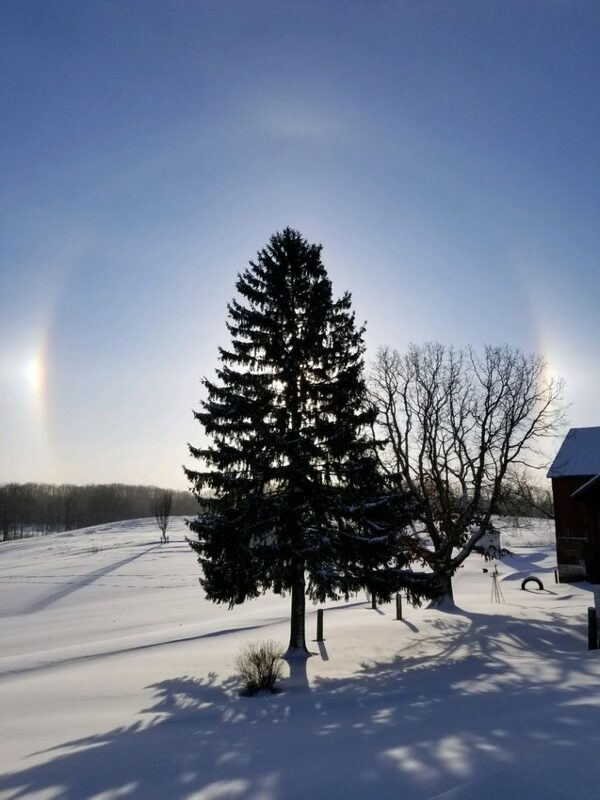 Residents throughout the Midwest reported seeing a “sun dog” this morning as the sun rose, including here in Cedar Springs. The Post received photos taken by two different people. 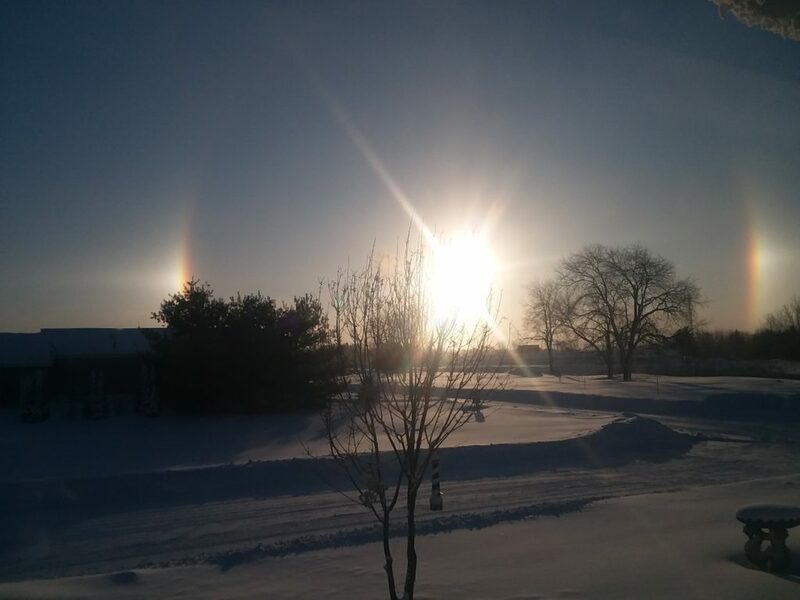 Dina Rowland took a photo of the sun dog over her field on Simmons Avenue. Dave Slater also sent us a photo. Thanks to Dina and Dave for sharing your photos with us!